Thinking about dreading your hair? There are dozens of myths and misconceptions surrounding dreads, which we’re going to discuss further in this post. Once you’ve separated the facts from the fiction, you can better decide whether they are the right choice for you. This is probably the main innocent, wide-eyed question non-dreadies ask me: “Can you wash your hair with dreadlocks?” It doesn’t even annoy me any more. Actually, I usually just laugh (good-naturedly) in their face before explaining that I wash my hair much like anyone else. 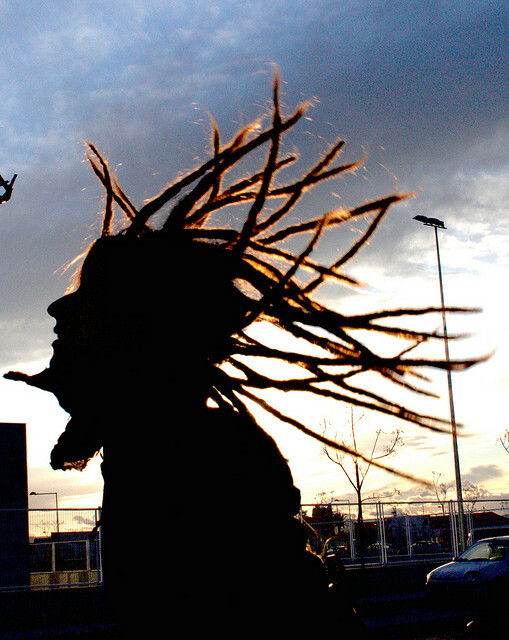 Many people assume that dreadlocks shouldn’t be washed because it will strip away essential oils. And when these oils are gone, the hair follicles will become dry, brittle and more susceptible to damage. If you wash your dreads too often, this may happen. However, not washing them at all is equally as bad, as it can leave your dreads looking like a tangled mess. A good rule of thumb is to wash your dreads once or twice a week. You’ll also find that, in general, cleaner dreads grow more quickly. Another all-too-common myth is that dreadlocks are high-maintenance, requiring lots of work to preserve their appearance. While certain types of dreads require more work than others depending on the type of hair that you have, most require little work to maintain once you get them started and they are mature. Let me repeat: once you’ve started your dreads, and they have matured (which can take anywhere from 3 months to more than a year), they are not a ton of work to maintain. Whether your dreads are made from twist and rip, brush rubbing, backcombing, etc., you’ll find they are much easier to maintain than other hair styles once you’ve got them going. That precisely why I started mine way back in college. I needed a hairstyle that I wouldn’t have to constantly maintain so that I could focus on rocking it out in art school. This is completely false. While sleeping in certain ways and positions may shift some of your dreads around during the night, you can preserve their shape by wearing a nylon stocking cap. Not only will this keep your dreads in place, but it will also lock in the moisture from your scalp, preventing your hair from drying out. Even if you don’t wear a stocking cap, though, sleeping on your dreads isn’t going to damage them. While shaving your head is always one option to get rid of your dreads, you can also remove them by combing them out. Just a warning, this does take elbow grease and hours (sometimes, days). As a general rule of thumb, you want to first and foremost soak your hair in warm water and/or some type of conditioner, because you want to soften those babies. After your dreads have soaked for 5-10 minutes, you should be able to begin combing them out. Like I said, it will probably take days, and due to dreads storing in those hairs that you would have otherwise normally shed, you will most likely find that you lose quite a bit of hair. But if you don’t want to shave your head when you’re done with dreads, go for it. I’m not sure who started this rumor, but it’s completely fictitious. Having dreadlocks will NOT damage your scalp. On the contrary, it can actually benefit your scalp since the essential oils produced by your pores will be locked in. Are there any dreadlock myths I left out? If so, let me know in the comments.